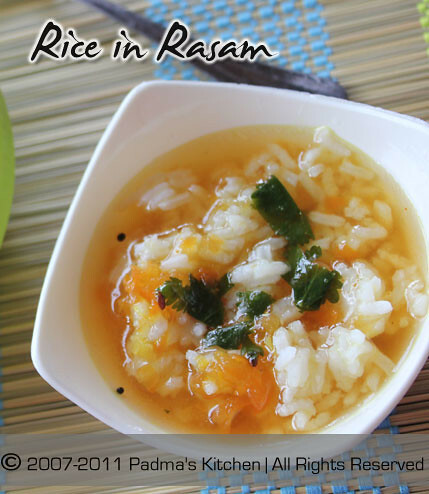 Ootti Charu means Rasam without dal. This one is from my mother's kitchen, another easy, very simple and flavorful recipe to make in a jiff. My Mom used to make it especially as an accompaniment when ever she cooked non-veg dishes like mutton curry, chicken kura or fish curry. She says it helps in clearing your gut after all the spicy, masala food you had and helps with digestion too! Like the way Chinese have tea after their meal! So, if you are judging that this Ootti charu is only for those who eat non-vegetarian food!! then you are wrong, it goes very well with vegan curries too! I love making it with most of the aloo(potato) curries, vegetable fry's like okra, tindora (dondkaya aka ivy gourd), cauliflower, cabbage, berakaya (ridge gourd), green bananas and kakarakaya (bitter gourd). 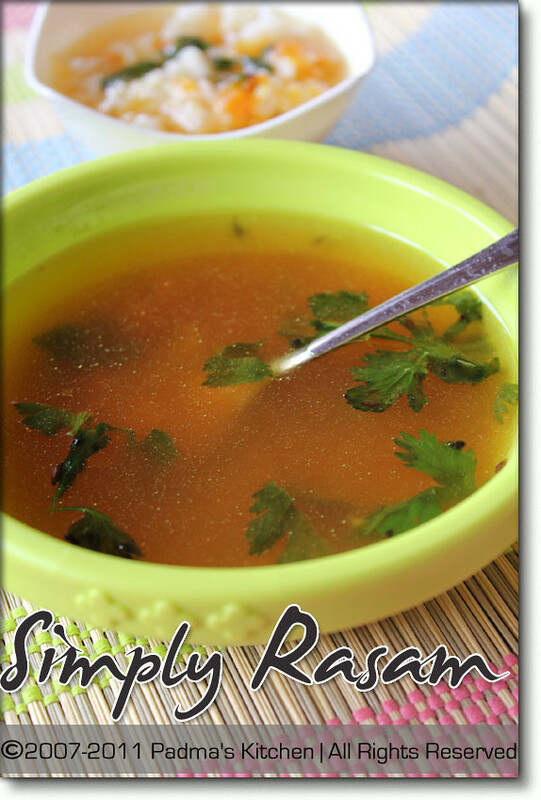 This simply rasam has the fewest ingredients yet it is so tasty and full of flavor. The most important ingredient is tamarind and water; we add green chillies, tomatoes and onions, little turmeric and chilli powder with a dash of pepper and cumin powder and little tempering does it all. Here is the step by step recipe in detail. Soak the tamarind in 1 cup of hot water. After 10 mins pulp the tamarind in the hot water, strain if needed (I use as it is!). Take a medium pot, add this tamarind pulp mixture, 5 cups of water, squeeze tomatoes with clean hands into it(first roughly chop tomato to four pieces and then squeeze). Add green chillies, sliced onions, turmeric powder, chilli powder, crushed pepper, cumin powder and salt. Cook on a medium flame and let it come to a boil, then reduce it to medium low flame and let the flavors simmer a little bit for 10-15 mins or till the green chillies/onions look cooked and not raw. Turn off the flame and temper it! Lastly temper it with seasoning by heating oil in a kadai/round bottom pan add the mustard, cumin seeds, urad dal/black gram dal; wait till the urad dal turns golden brown in color. Then add finely chopped onions and crushed garlic, once the onions turn golden in color add curry leaves and chopped cilantro for 30 seconds or a minute. 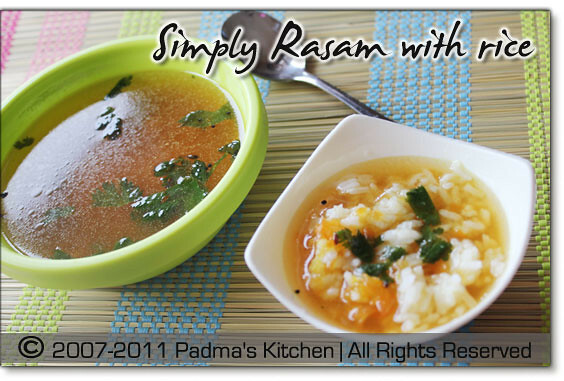 Immediately pour this tadka/seasoning into Rasam and close with lid. Otti Charu aka Rasam is ready! Serve it with your favorite curry, vegetable fry's and hot steamy rice. This is also best when you have sore throat or cold. Clears your throat and makes you feel good. Mmmm.. all time comfort food.. Comforting rasam, i can survive for many days with this simple rasam..
simple and yum ...a bowl I can relish ..
Charu is my all time favorite and I usually make charu with out dal. This my comfort food.